One of the problems that needed addressed as part of the ongoing refurbishment of the Grand Banks Eastbay 43 currently residing in our shed, was to fix the 'wobbly wheel' at the helm station. 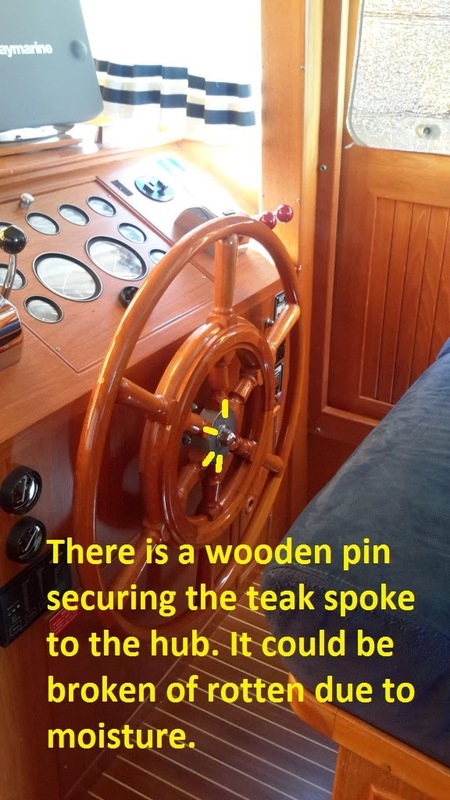 Initially, it was thought that it had loosened on the spindle over time and tightening up the locking nut and maybe packing it out with a couple of shims would do the trick. However, this was only part of the problem. 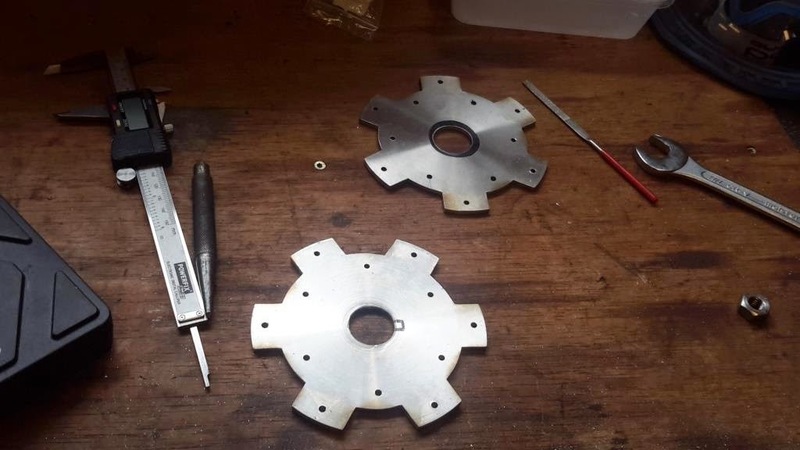 On removing the wheel for closer examination we noticed that not only were the spokes loose where they connected into the hub, but it would be impossible to repair them without first dismantling the wheel. 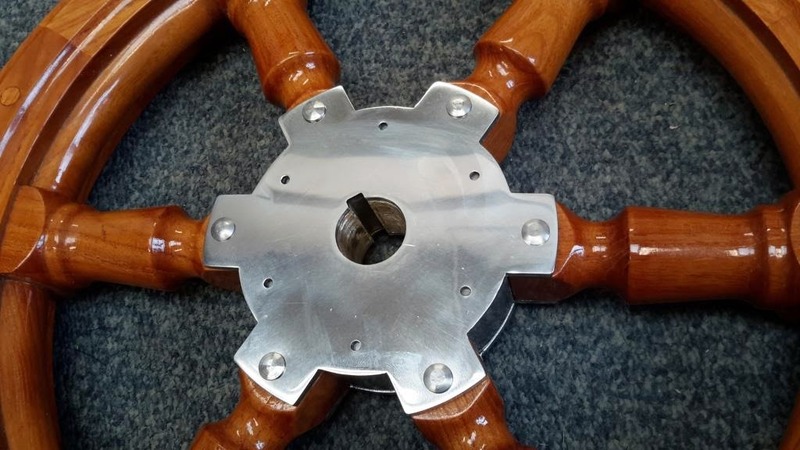 Next stage in the process was to ask Grand Banks for the price for a replacement wheel to be shipped to us. 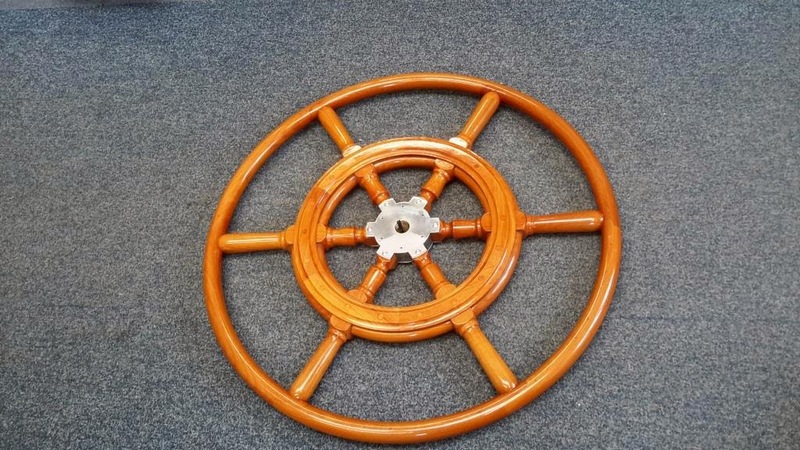 On being told that it would cost $3,600 + VAT + shipping, we swiftly moved onto the next stage in the process and re-visited the idea of repairing the wheel. Engineering and boat-building ideas were bandied about before we settled on designing, manufacturing and fitting two polished stainless steel plates on either side of the hub that would overlap onto the base of each of the spokes and allow us to pin the plates, the spokes and the hub together. Plates were fitted to the wheel, the keyway was marked and cut, before final polishing and fitting to the wheel. 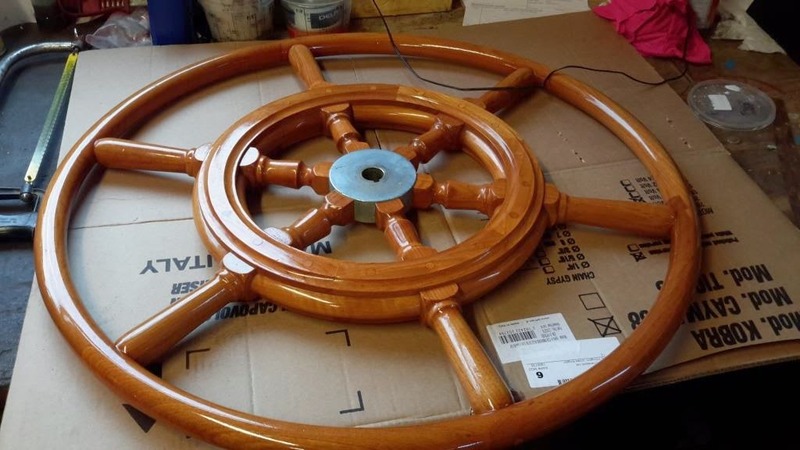 The boat is still in the shed with other works ongoing, so the wheel is currently sitting in the workshop office. But the project is nearing completion and our next few blogs will have further details and pictures of the extensive works carried out - and some photos of the end result when she is fully fitted out and back in the water again.